June | 2016 | Sonic Smash-Music! 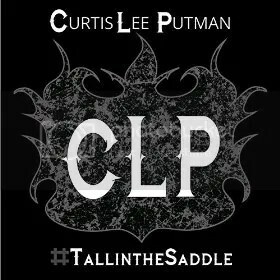 The singer and songwriter of country music known as Curtis Lee Putman has released his latest official single, “#TallInTheSaddle (When I Ride).” The track has been proudly published by CLP Music Productions and Tallinthesaddlerecords independent music labels, outside the control of the corporate music industry. An instant country classic in the making with smooth natural baritone vocals and gritty storytelling, “#TallInTheSaddle” is evidence that the American country music tradition is alive and well in artists like Curtis Lee Putman. A born musician, Curtis Lee Putman has been making music since childhood. “Music has been my indulgence, my escape, and a passion of mine for my entire life,” he writes. Curtis Lee Putman was born and raised in Kalamazoo, MI, home of the world-famous Gibson Guitar Company and a hotbed for American music since the early 20th century. Putman found his musical calling in country music and in the blues. His music often crosses boundaries, however, and his songs can be found cataloged variously as country, alternative country, country/blues, and occasionally just alternative. “#TallInTheSaddle (When I Ride)” arrives hot on the heels of “It’s Over,” Curtis Lee Putman’s other popular single published on the same record label. Remastered versions of other past favorites including “One More Dance” and “Curtis Lee’s Blues” are set to release later this summer. Curtis Lee Putman’s music is in radio circulation and he has been interviewed on Jango, iHeart Radio, and Tapdetroit.com, syndicated on the Radio365 network, nationwide on FM and Internet radio. “#TallInTheSaddle (When I Ride)” by Curtis Lee Putman available online worldwide 23 June 2016. The rapper and performer of hip hop known as Young Dope T has released his debut official single, “Htown Made.” The track has been proudly published on the Still Young Records independent music label based in Atlanta, GA. Aggressively creative, masterfully performed and full of lyrical surprises, “Htown Made” is a new hip hop for a new millennium. Young Dope T cites as chief artistic influences Tupac Shakur, Pimp C, Master P, Fat Pat, Big Moe, and HQ. However, the artist mainly credits the scene in which he grew up as the most important factor in his musical development. Dope’s signature style is distinguished by snappy turnarounds and broad variations in tempo. A rapper with a naturally unique vocal tone, T delivers his clever, well written phrases with inimitable character and audible, infectious fun. Young Dope T was born Devron Troy Allen June 13, 1997 in Houston. While “Htown Made” is his public debut on the Still Young Records label, he has many unofficial releases publicly available for sampling and listening online. 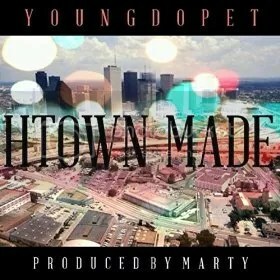 “Htown Made” by Young Dope T is available at over 700 digital music stores online worldwide now. Get in early, hip hop fans. 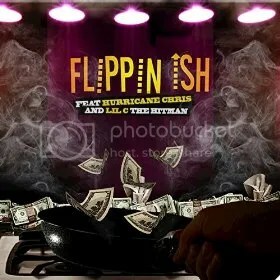 The rapper and producer of hip hop music known as Emcee Drunken Monk has released his latest official single, “Flippin I$h,” featuring Hurricane Chris and Lil C the Hitman. The single has been proudly published on the New Age Lions independent record label without direction from the corporate music industry. Mixing the best elements of both old-school hip hop and the cutting edge of contemporary rap, “Flippin I$h” is the freshest reason for music fans to sit up and take notice of Emcee Drunken Monk today. Emcee Drunken Monk cites as main artistic influences Miles Davis, Run DMC, Beastie Boys, Lil Snoop, Ghost Poet, Portishead, and Bach. This list colors him as a listener who appreciates quality, rather any single music category. His “Flippin I$h” track stands as an example of this, being neither a clear-cut East Coast track, West Coast track, nor obviously from the Dirty South hip hop tradition. It is a song with attributes from every rap underground in world, and it adds its unique personality to the global scene, also. Originally a trained pianist from Louisiana, Emcee Drunken Monk is a producer, keyboardist, and vocalist who splits his time between California’s Bay Area, Manila in the Philippines, and Billings, Montana. Since cutting his teeth at a renowned school for the arts in Shreveport, Louisiana, he has studied piano performance at MSU and at the Jazz School in Berkeley, Calif.
His recent “Ghost Flow” mixtape was well received and included a diverse artist lineup including Merky Ace from the London grime scene and Honey Cocaine, a prominent Toronto female emcee, as well as Oakland’s own Nittlz and TBM. Outside the studio, Drunken Monk has performed his music acoustically and likes to blend genres such as blues, house, trip hop and jazz into hybrid sounds. Though he has maintained what he calls “a low-key performance schedule in the Bay Area” over the last few years, Monk is planning to tour extensively in 2016 to bring his recent creations to fans near and far. “Flippin I$h” by Drunken Monk feat. Hurricane Chris, Lil C The Hitman is available online worldwide beginning 25 June 2016. The Los Angeles folk-rock group known as Desert Sparrow have released their latest EP, “City of Dreams.” The album contains three original tracks for an approximate total listening time of 15 minutes. It has been proudly published as an independent release outside the direction of the corporate music industry. Sonorous, rural, and with roots wrapped deep in the rock ‘n’ roll tradition, “City of Dreams” from Desert Sparrow is an EP sure to resonate with fans of many music genres. Hailing originally from Sydney, Australia, Desert Sparrow cite as main artistic influences ’60s rock, folk music, spaghetti westerns, and surf rock. The resulting amalgam is a rhythmic, highly narrative experience which paints images of solitude and hardship, independence and perseverance on backgrounds of hardpan deserts and windswept plains. Their sound often recalls moments from groups like Fleetwood Mac, Kings of Leon, and Angus & Julia Stone. Desert Sparrow are Kylie Adams and Dave Carreno. Also appearing on their new record is guitarist Robo Hryn. Their “City of Dreams” EP is preceded by their 2014 EP, “Leave this Town,” the popularity of which preempted the group’s move from Australia to Los Angeles. Desert Sparrow’s self-produced EP was engineered at Station House Studio in Echo Park, CA by Mark Rains (Black Rebel Motorcycle Club, Shooter Jennings) and mastered at Sterling Sound, NY by Greg Calbi (Tame Impala, The War on Drugs, Kurt Vile, Noel Gallagher, Keith Richards). It features cover art and photography by Ian Maddox. “City of Dreams” by Desert Sparrow is available at over 700 music stores online worldwide beginning 24 June 2016. The artist of Portuguese Fado music known as Cathy Pimentel has released her latest official EP album, “Fado Coimbra Live.” The EP has been long awaited by fans of the Portuguese-Canadian singer, who has been called “the ambassador of Fado in Canada,” “the incomparable voice of Fado,” “a true and complete artist,” “the best kept secret in Montreal” and “the voice of the soul.” Her “Fado Coimbra Live” EP is expected to drop worldwide 9 June 2016. Pimentel cites as main artistic influences Amalia Rodrigues, Mariza, Ana Moura, Luis Goes, Camane, Enya, Dalida, Maria Callas, Mizia, Dulce Pontes, Diego El Cigala, Cesaria Evora, and others. She has been singing in the traditional Portuguese Fado style since 2012. Since then she has performed over 100 shows in Canada, the United States, the Portuguese capital of Lisbon, and is scheduled to bring her inimitable sound to Brazil in August, 2016. Pimentel’s own take on the Fado mode of music takes its root rhythms and melodies and stirs in elements of classical music and opera. When singing Fado she often accompanies herself on guitar or piano. She is frequently chosen to represent Fado internationally, including a performance on Canada’s ARTV channel, in the Festival Nuits d’Afrique (Nights of Africa Festival), in the International Festival of Montreal Portugal, and during a ceremony organized for the finance ministers of Quebec and Ontario in 2014. Cathy Pimentel’s 2014 album “Fado Horizonte” has been a success with French and Portuguese media in Quebec on ICI Radio-Canada, CBC, and CIBL, having stayed on the charts for weeks, reaching No. 1 in April 2014 in the world music category. She has been the focus of over 40 music articles. “Fado Coimbra Live” was performed in concert with renowned musicians from Coimbra, Portugal and Montreal, Quebec. It was organized by the LUSOBEC foundation to promote the beauty of the Portuguese Fado and culture. Pimentel’s own Coimbra Fado is particularly unique, as the Coimbra is generally performed by male singers. She has performed it for audiences of thousands since the opening of the show on 6 May 2015. 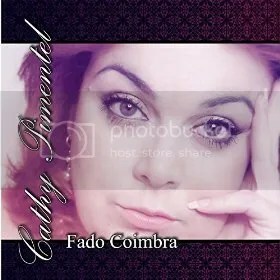 “Fado Coimbra Live” by Cathy Pimentel is available beginning 9 June 2016 at more than 700 digital music retailers online worldwide. Fans of Latin, Portuguese, classical, and other great music styles in general should definitely give a listen. 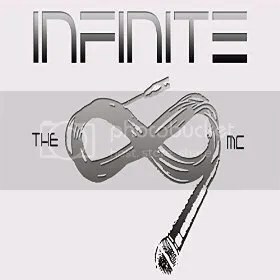 The rapper and hip hop producer known as the Infinite MC has released his latest official video, “Never Hurt Me Soul.” The track has been proudly published on the Infinite Records independent music label without the direction of the corporate music industry. It is the title track of his latest EP album, “Never Hurt Me Soul One Man Revolution.” An animated representation of the themes and struggles featured in his music, “Never Hurt Me Soul” by the Infinite MC is proof that this Egyptian-American rapper is more than just an entertainer. He’s a revolutionary. Separating the Infinite MC from the largest portion of rap musicians is his lyric content. Lines written and performed by Infinite are as notable for what he puts in as they are for what he keeps out. Profundity is at the heart of everything the Infinite MC releases, and his new “Never Hurt Me Soul” video is the latest example of this. Starring in the animated hip hop video, naturally, is Infinite, himself. “Never Hurt Me Soul” by the Infinite MC is available for viewing online worldwide now (link provided below). 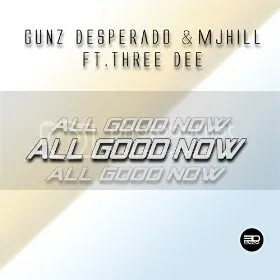 The music artists known as Gunz Desperado and MJ Hill have released their latest hip hop single, “All Good Now.” The track features the talents of Three Dee and has been proudly published on the 3DMusiQ independent record label outside the control of the corporate music industry. Blending old-school groove with razor-sharp modern production and smart aggression on the mic, “All Good Now” by Gunz Desperado and MJ Hill feat. Three Dee is the rap fan’s best bet for kicking off summer 2016. Gunz Desperado, MJ Hill and Three Dee cite as main artistic influences for “All Good Now” James Brown, Michael Jackson, Teddy Riley, Prince, Roger Troutman, and Dr. Dre. As this top-quality list indicates, “All Good Now” is a single which comes from musicians who know what a solid rhythm and flowing rhyme can do for the soul. An official video for “All Good Now” has also been released and is available for viewing online (link provided below). DJ and producer Three Dee (aka Marcel Koops) was born and raised in the south Netherlands. The son of a talented musician and radio personality, Three Dee has been involved in music production since the age of 11. He is a graduate of the Netherlands Conservatorium where he studied classic piano and electric organ and obtained his degree. He has a background in many genres, including RnB, hip hop, jazz, funk, soul, pop, reggae and dancehall. Three Dee toured Europe as Triple D for more than two decades before relocating to the United States, then co-founded the 3DMusiQ indie label upon his return to Europe in 2012. He has made remixes for the likes of Usher, P Diddy, Samantha Mumba, Kevin Lyttle, Bushido, Eko Fresh, Dr Alban, and TQ, as well as having worked with Public Announcement, Wayne Wonder, Leftside, Million Stylez, Kay One, and Elisha La’Verne. “All Good Now” by Gunz Desperado and MJ Hill feat. Three Dee is available online worldwide now.